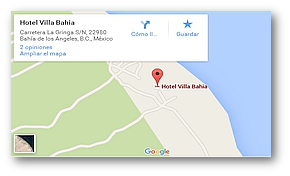 There are a lot of one and two day trips that wll really enrich your stay here at the Villa Bahia. 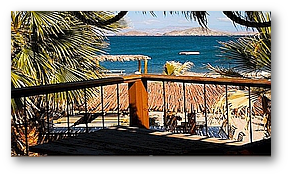 There is the “Mision San Borja”, once the largest in all Baja, only a two hour drive away. There are the fascinating cave paintings at “Montevideo”, on the road to the mission. There are trips out to gold mines north, east, and south of Bahia. There is a chance of a lifetime to touch a baby gray whale at the breeding grounds in Scammon’s lagoon, about a two hour drive south of Bahia. There is MUCH to do. There is so much to do and see in and around Bahia de los Angeles, that you will probably have to make several trips to see it all. There are all the normal water sports at the Villa itself, and many sites to be seen in the village or within a short drive. You can choose from just relaxing, or be more active and go exploring for all to be seen in the desert, the mountains, or the islands in the bay.